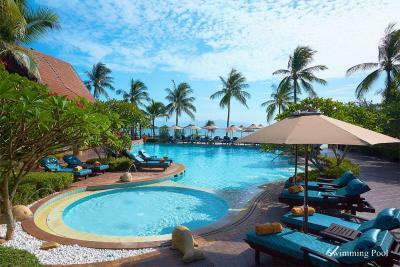 Lock in a great price for Bo Phut Resort and Spa – rated 9.6 by recent guests! The hotel was extremely attractive in design and the gardens were details, beautiful and immaculately kept, as was the pool area and beach. Also it wasn’t a very large hotel which was very nice. Location to fisherman’s village. Property is on the beach, local restaurants, shops very close. Everything! from the check in with the best welcome and attention i experienced to the small details that make us feel like at home. Location is so quiet and great for families and children. Staff are super helpful and friendly. Very helpful staff and is right on the beach. 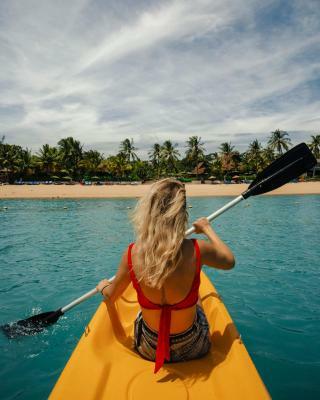 The waters are beautiful and we're just a 10min walk away from fisherman's village so it was easy to get around the area. 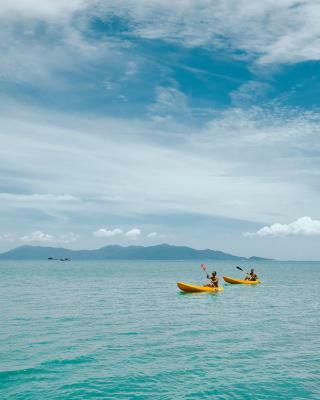 Bo Phut Resort and Spa This rating is a reflection of how the property compares to the industry standard when it comes to price, facilities and services available. It's based on a self-evaluation by the property. Use this rating to help choose your stay! 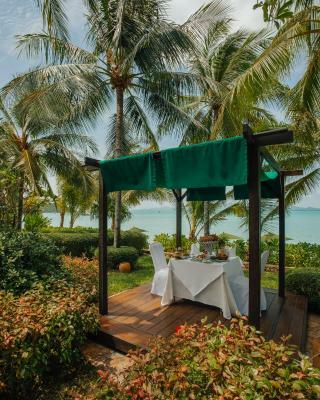 One of our top picks in Bophut.Featuring beautiful Thai accommodations surrounded by acres of tropical vegetation, Bo Phut Resort and Spa offers a tranquil retreat in Koh Samui. Luxurious, it features outdoor landscaped pools and a golf course. 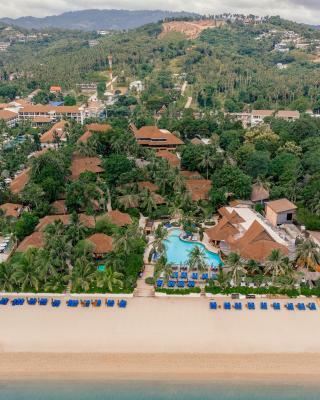 On Bo Phut beach, the resort is about one mile from the Fisherman's Village and 3 miles from Samui International Airport. It offers airport transportation for convenience. 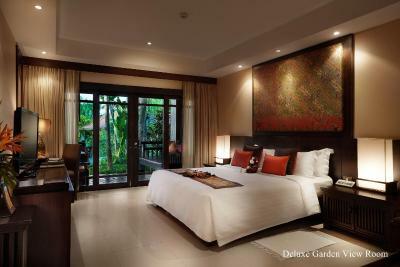 Spacious, all rooms and villas include private balconies and oversize windows that offer views of the grounds. 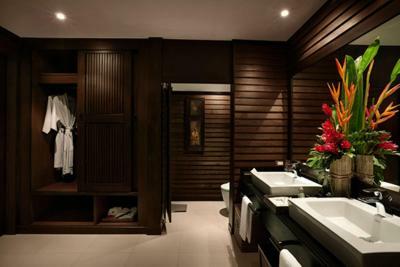 Private bathrooms have separate shower and bathtub, while facilities like a satellite TV, DVDs and a CD player are provided for guests’ entertainment. 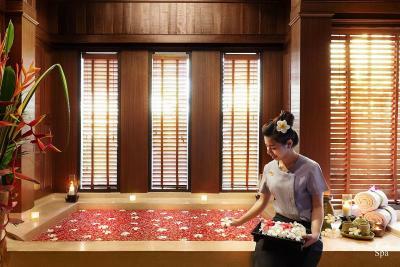 Pampering massages and other personalized spa treatments are provided at Bo Phut Resort’s spa. 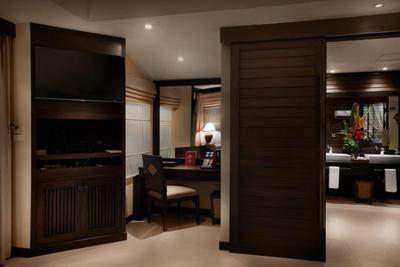 Guests also have the luxury of a sauna and spa tub. Recreational activities include canoeing, fishing and ping-pong. Alternatively, there is a small library on site for a quiet day indoors. The 2 restaurants offer local and international dishes. 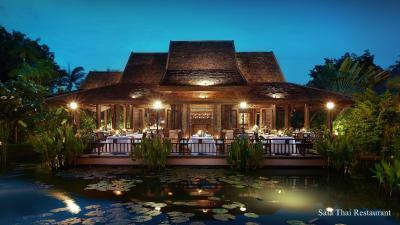 Sala Thai, the signature restaurant, overlooks a lotus pond and complements the dining experience with live local music. Cocktails and light snacks can be enjoyed by the pool or at the Beach Bar. This property is also rated for the best value in Bophut! Guests are getting more for their money when compared to other properties in this city. 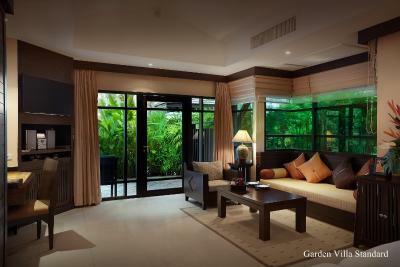 뀐 Located in the top-rated area in Bophut, this property has an excellent location score of 9.4! 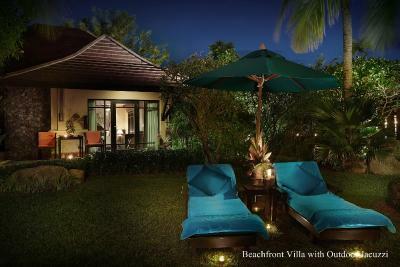 When would you like to stay at Bo Phut Resort and Spa? 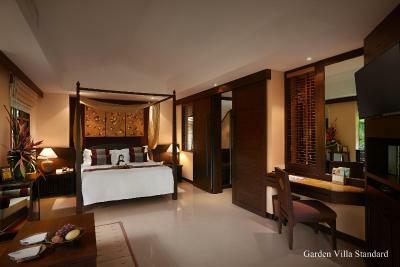 Overlooking a lush garden, this room features a private balcony, a wooden sofa and a table. 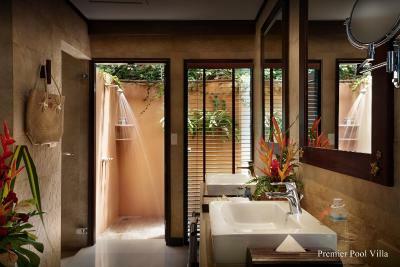 The modern bathroom comes with a shower, separate toilet as well as his and her sink. Bathroom amenities are offered. 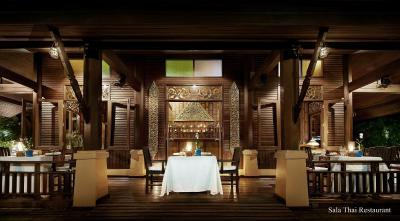 Furnished with Contemporary Thai style with a hip roof, this spacious interior includes a seating area. 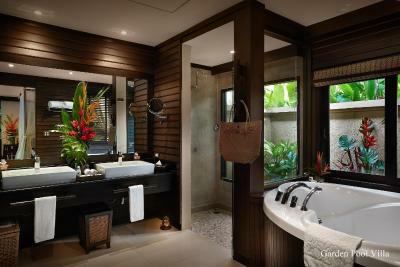 The large bathroom features his and her sink, a separate bathtub and a shower. It has a large terrace with a set of table and chairs allowing an open space for smoking. Please note that a child sharing an existing bed with parents will be charged for breakfast separately at THB 442 per person per meal. Please be informed than an extra bed for a child under under age of 12 will be charged at THB 1,900 per night. 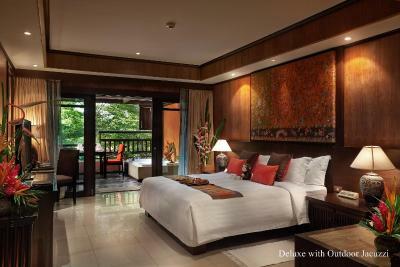 A child over the age of 12 will be charged as adult at THB 2,300 per night. The rates include breakfast. 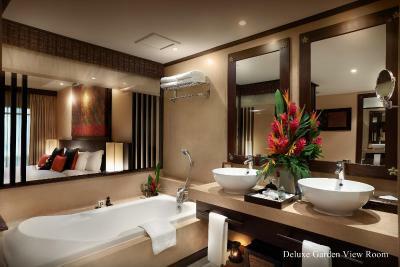 The deluxe room features a modern bathroom fitted with a shower, separate toilet and a sink. 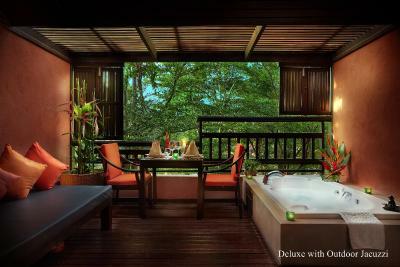 The large terrace has an outdoor seating area as well as a spa bath. 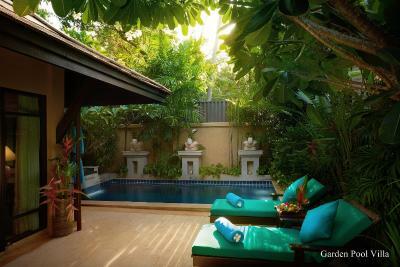 Furnished with luxurious furniture, this contemporary Thai style villa with a hip roof features a private pool, a terrace and cable TV. Its spacious bathroom has both indoor and outdoor shower areas, two vanity sinks and a bathtub. It has a walk-in closet. A private terrace offers an open space for smoking while enjoying garden view. 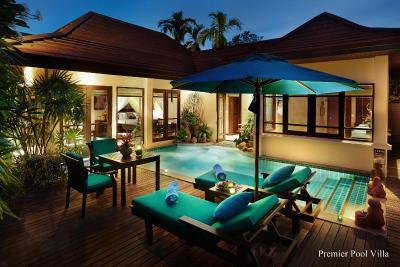 Furnished in contemporary Thai style with a hip roof, this villa is located close to the beach. 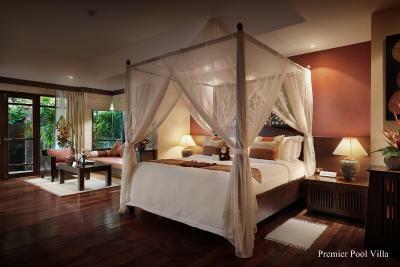 Guests can choose either a honeymoon bed or a king size bed. Spacious bathroom features two vanity sinks, a separate bathtub and indoor/outdoor shower areas. 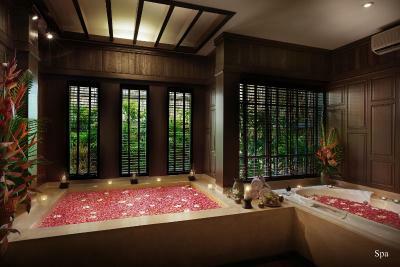 It has an outdoor spa bath overlooking a view of the Gulf of Thailand. 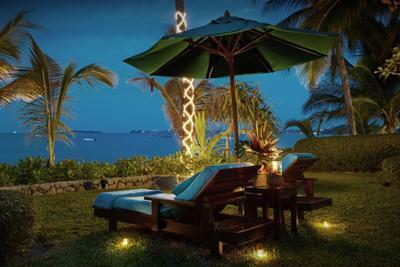 Sun loungers, a set of a table and chairs are available on a large terrace. 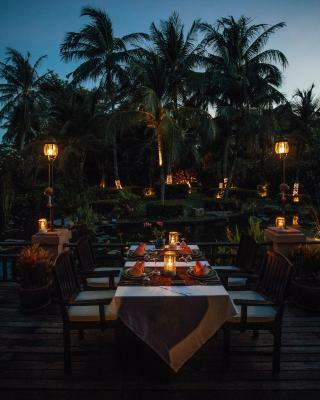 This villa features a private pool and a large terrace with garden views allows guests who would like to smoke. 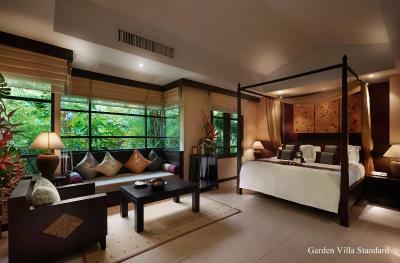 Furnished with contemporary Thai-design with a hip roof, it has a sofa bed that can convert into an extra bed. A writing desk and a rattan armchair are offered. 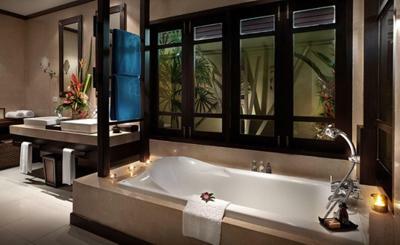 Full bathroom amenities, a bathtub and a sink are included in an private bathroom. 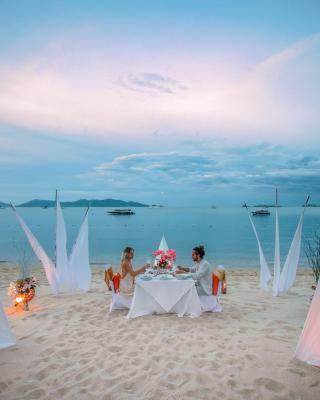 House Rules Bo Phut Resort and Spa takes special requests – add in the next step! 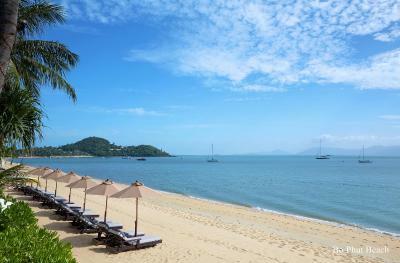 Bo Phut Resort and Spa accepts these cards and reserves the right to temporarily hold an amount prior to arrival. Guests checking-out prior to the confirmed departure date will incur one night's accommodations early departure fee. During the festive season, guests will be charged 100% of the total booking. Please kindly contact the property directly for more information. For bookings made from 10 February 2017 onwards, a compulsory Gala Dinner is included in the room rates of 24 and 31 December 2017. The rates of the Gala Dinner are based on room type and occupancy (guests sleeping in extra beds will be charged separately). Please contact the property for more details. Some equipments are a bit old - babyfoot, tennis table - and could be renewed. We really cannot fault this place at all. 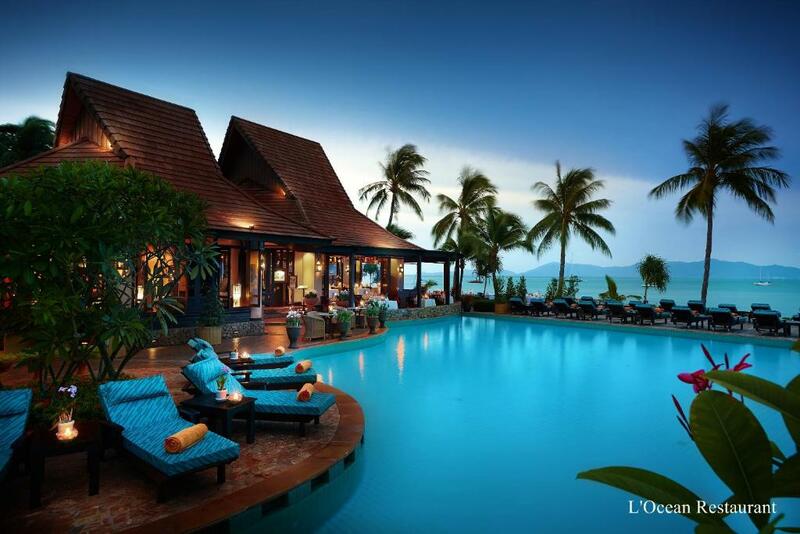 We would recommend it to everyone we know and would definitely want to stay here again. The only think we didn't like is that that we didn't stay for longer!!! Wow, what an amazing place this is!! 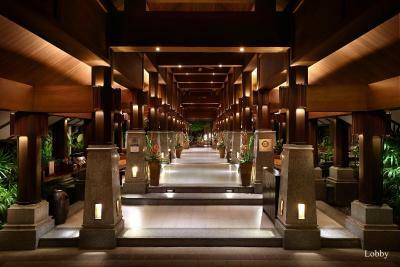 A absolutely beautiful hotel with beautiful facilities. We have never experienced service like this. Every single member of staff gives 110% to ensure you have an amazing stay. And we did!! Housekeeping comes twice a day, and the turn down service is an absolutely brilliant touch. Everything was spotlessly clean and there are so many nice touches everywhere. This is a hotel that really cares about its guests. We really cannot compliment the hotel and it's wonderful staff enough. This was our second visit and did not disappoint! 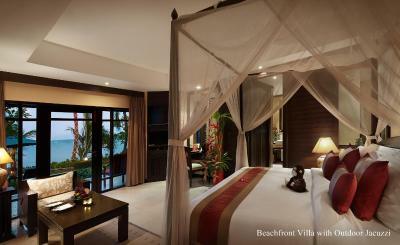 From the time we arrived and throughout our stay, the staff, the villa and the entire resort were perfect. Our flight got in mid-morning so we’d expected to have to wait for our room, but instead we were shown straight to it and offered the breakfast buffet as well. The villa was superb, with a short walk to the pool, restaurant and beach amongst gorgeous gardens. We were pampered throughout our stay and spent most of our time by the pool. The thing that really sets this place apart is the beautiful staff, with nothing too much trouble and always delivered with a smile. Can’t wait to go back again. Best value for money! Great service, everything with a smile. 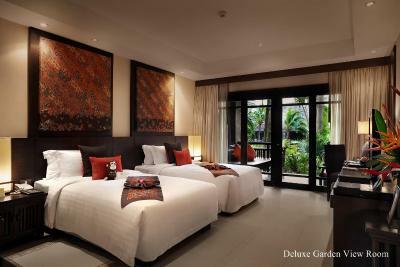 Rooms very nice and equipped . Awesome place to stay in Bo phut. Using less plastic straws could be thought of to become even more environmentally friendly. Extremely helpful and friendly staff who treat their guests with utmost respect and kindness. They will find solution to any problem/question you may have. The setting was perfect. The staff and ambience were second to none. The Hotel is small and perfect for couples as it quiet and relaxing, however the hotel allowed a large group of Americans to book, I believe there were 11 of them! They were loud, inconsiderate and behaved like they were on a 18-30’s holiday (even though they were all between 45-60+) without any consideration for any other guests! They shouted to each other across the pool, talked loudly and generally were rude and obnoxious. This is a small leading hotel and NOT suitable for noisy big parties of guests. Water should be given out for free all day to all pool & beach goers. For the cost of the hotel this should be included in the price. 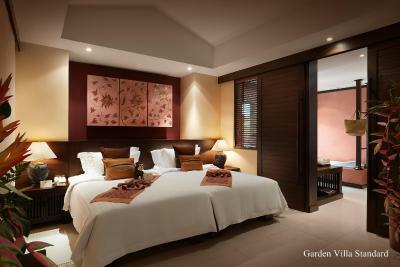 The beds are massive and super comfy& the rooms are spacious. Breakfast offered everything you could conceivably want. The mattress on the bed was far too hard and two duvets and pillows under the bottom sheet didn’t improve that very much. Similarly the pads on the chaise at the pool and on the beach were also Very hard. Not good. Overall everything was good, almost perfect. Hotel is exceptional, but it can be expected to money you pay, beach was clean, though water wasn’t crystal clear, staff was helpful. 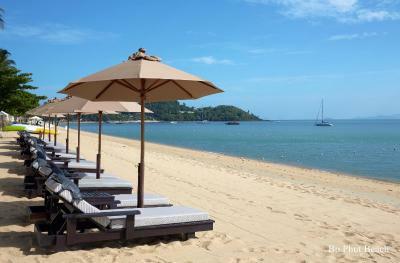 Good selection of breakfast, and nice beach restaurants nearby in Fishermans village. 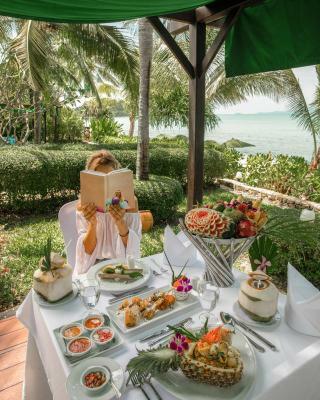 Our stay at Bo Phut Resort could not have been more perfect! The staff was SO friendly and helpful, and they took care of every little detail for us. All of our meals were delicious (we ate at both restaurants), the pool area and beach were so relaxing, and our villa and private pool were incredible! The breakfast buffet each morning had so many delicious choices, too! Our little villa had tons of room for the two of us, the bed was comfortable, the seating area nice and spacious, and the bathroom had both an excellent shower and a relaxing bathtub. 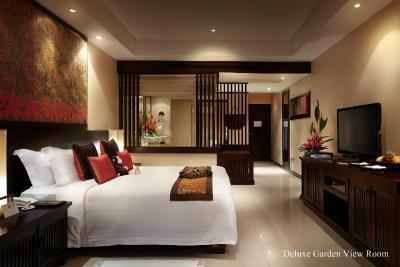 Everything was immaculate and comfortable, and the housekeeping staff took such great care of us. 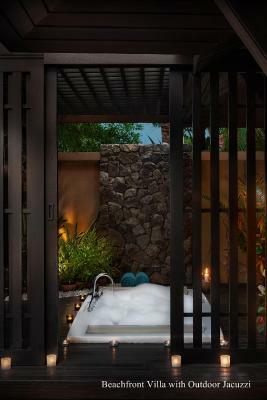 We also visited the spa during our stay, and we both enjoyed our experience! 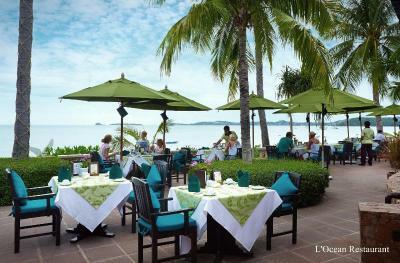 We will definitely visit Bo Phut again if the opportunity arises, and we highly recommend it to others.